Rublev Colours Stack Process Flake White is made in small amounts according to sixteenth century Dutch method, differing little to the "stack" process of history. 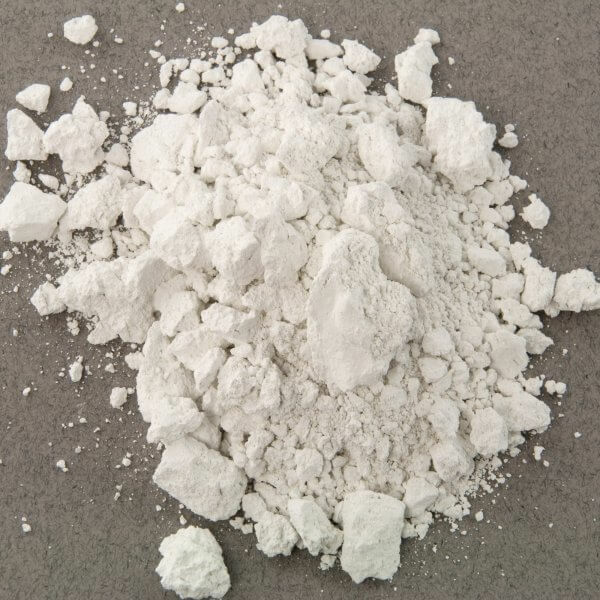 It is basic carbonate of lead and usually contains about 70% of lead carbonate and 30% of lead hydroxide. 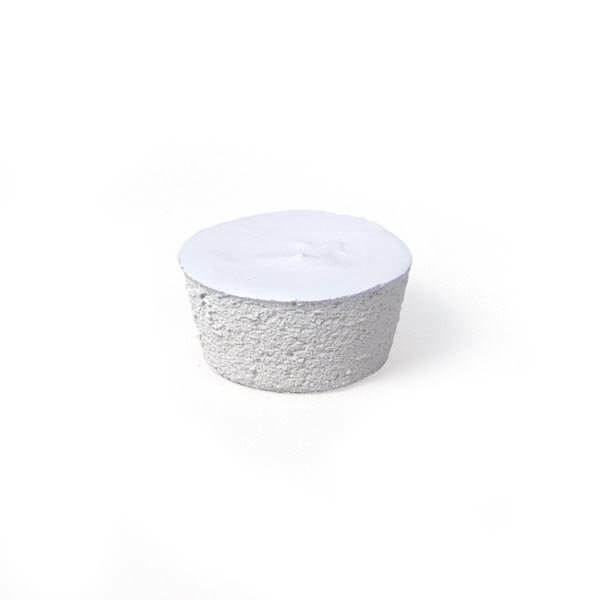 This grade of white lead is composed of the actual flakes that fall off the corroded lead sheets and the white lead that is mechanically removed. It is washed and ground ready for use by the artist. Stack process white lead is ground to about the same granularity typically found in old masters' paintings. This pigment is available as small round cakes. The small cakes are easily broken and ground in the paint vehicle or in water. We recommend first crushing the cake in a mortar with a pestle, adding a small amount of vehicle to reduce dust, and then scrape the mixture onto a flat surface to grind further with a muller. Lead white is the most important of all lead pigments. Not overlooking special uses of lime white in wall painting, it is safe to say that, historically, it is the most important of all white pigments. It was the only white pigment used in European easel painting until the 19th century. It has been produced since early historical times. Theophrastus, Pliny, and Vitruvius all described its preparation from metallic lead and vinegar. It is one of the oldest synthetically produced pigments. There are numerous methods for making lead white. 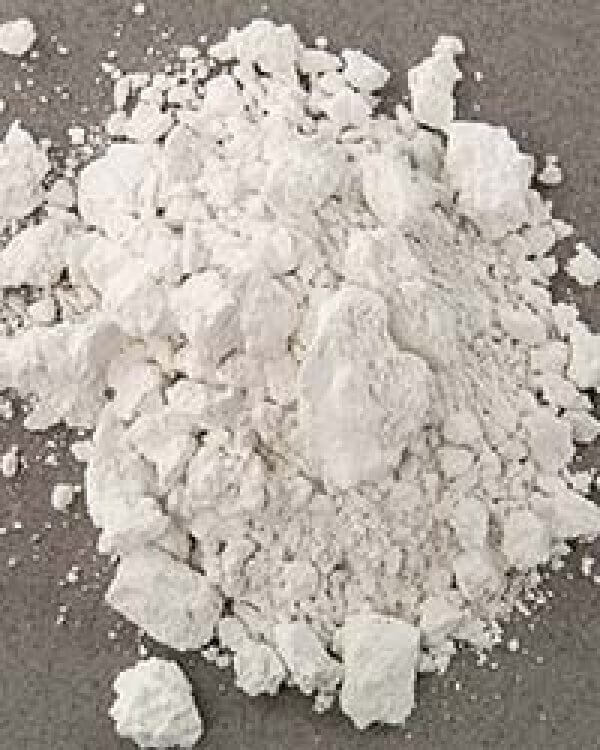 Our lead white is made in relatively small amounts according to 16th century Dutch method, differing little to the "stack" process of history. The method for the "stack" process is: Metallic lead in the form of strips is exposed for about three months in earthenware pots, which have a separate compartment in the bottom containing a weak solution of acetic acid (vinegar). The pots are stacked in tiers over a layer of horse manure in a shed. After the shed is closed, the combined action of the acetic acid vapors, heat and carbon dioxide from the fermenting manure, carbon dioxide in the air and water vapor slowly transforms the lead to basic lead carbonate. Our lead white is made according to this manner in a carefully controlled environment to duplicate the method used by the Dutch and ensure the purity of the pigment. It is thoroughly washed to remove impurities and ground. Rublev Colours lead white is a warm white of crystalline particles that vary greatly in size than the finely-divided modern lead white available today. Despite lead white being a carbonate, and hence sensitive to acids, it has an excellent record for permanence. It is unaffected by light. When applied in watercolor technique, however, traces of hydrogen sulfide in the air may cause it to turn black. Although lead white is theoretically incompatible with sulfide pigments, and should form black lead sulfide in contact with them, no examples are readily known. There might be some doubt, however, about mixing orpiment and realgar with lead white, although some identified cases show no discoloration. A special feature of lead white is its low oil-absorption rate. According to some it requires only 8 to 15 grams of oil to make a workable paste with 100 grams of lead white. 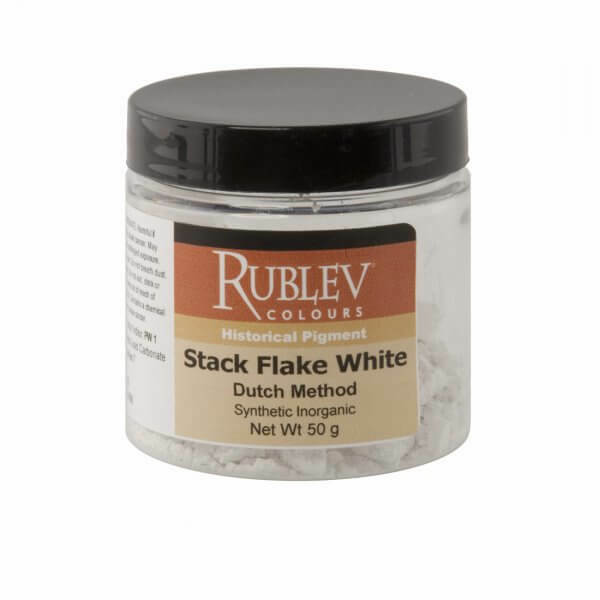 Dutch stack lead white requires even less oil to make a stiff paste than modern lead whites. It can be used with aqueous media, such as egg tempera, gum Arabic (watercolor) and animal glue. It can also be used in encaustic (wax) technique, but does not appear to perform well in true fresco technique. Lead white is toxic if inhaled as a dust or if ingested. Grinding and making the pigment into paint is hazardous and the sale of lead compounds in several countries has been prohibited. Painters may suffer from "painters' colic" or "plumbism" if they are careless in using it. Extreme care should be used in handling the dry powder pigment so as not to inhale the dust. Do not smoke, eat or drink while using the pigment in any form, including in a paint binder.